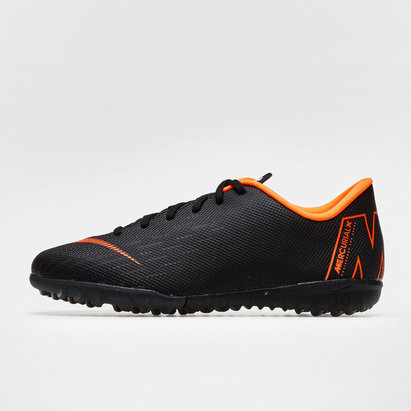 Be the one to light up every game on any pitch when you pull on these Hypervenom PhantomX III Academy D-Fit IC Football Trainers in Dark Grey, Total Orange and White from Nike. Designed using Nike's Flyknit with Dynamic Flywire cables, the wearer will get a more locked-down fit that's as adaptive as you are. The Dynamic Fit collar links the lower leg and foot without impeding motion as it sits over your sock for a comfortable all-in-one feeling. Asymmetrical lacing and foam pods in the strike zone reduce impact and return energy. A lightweight, form-fitting and virtually seamless upper of these Nike football trainers also feature Nike Zoom Air for responsive cushioning. 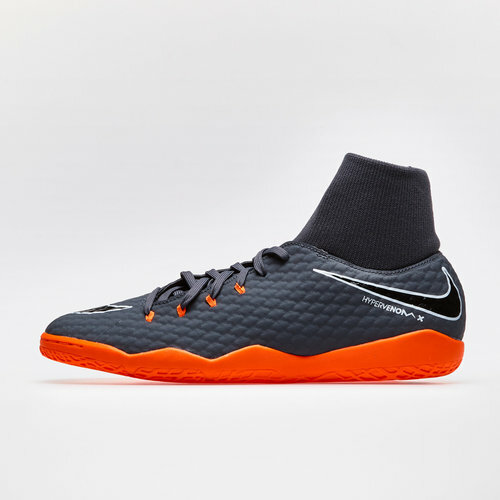 Designed indoor or courts, the outsole gives plenty of traction whether you're playing indoor or on the streets to ensure you're not left slipping. 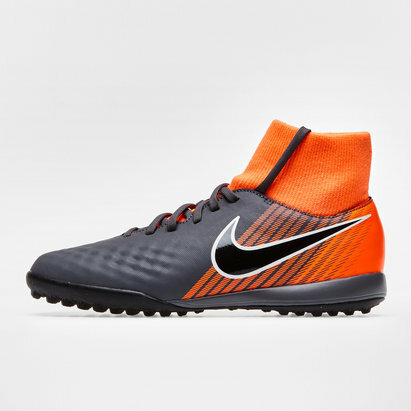 With an enhanced touch and deadly finish, lace up a pair of these Nike Hypervenom PhantomX III Academy D-Fit IC Football Trainers.